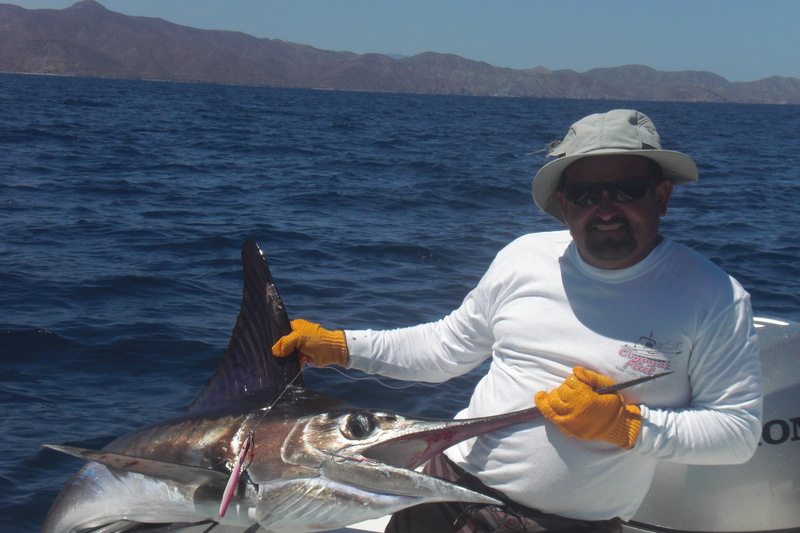 Located a short drive away from Cabo San Lucas, Los Barriles in the East Cape is a famous sport fishing destination. Let Israel “Cuyuyo” Araiza take you and your friends or family out on one of his Super Pangas for a day of adventure and great fishing. Plus, you can now stay at one of Israel’s beautiful and comfortable casitas! Cuyuyo was born and raised in Los Barriles, and he’s a second generation fisherman and has fished these waters since he was 5 years old. He’s an independent captain based in the town and keeps his fleet and gear in top shape. Check out what people have to say on Trip Advisor! We fished with Israel for two days of rooster fish fishing…our competition was the IRT 48th annual rooster tourney. He was dedicated to finding us roosters despite all the competition and he was very successful. We will be back with Cuyuyos service again. Israel took me out for Wahoo on May 12th and as soon as our first two lines were set I hooked into a nice 30 pounder. Not a “WHOOPER” but it made for some good eating . Israel has been guiding since he was 14 years old and knows the waters of Los Barriles. Even though that was the only fish of the day it was a GREAT trip and would highly recommend Super Panga Cuyuyo”s. Israel is the best!!!! Great guy and easy to communicate with. Next time I’m in Los Barriles there is no question who I will call on for all my fishing.